St Johns Central #314 – 18 PACK – Kingfisher Maps, Inc.
Wholesale Pack – Includes 18 St. Johns River Central Waterproof Maps with Display Box. 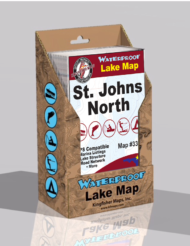 Includes Lake George and Cresent Lake. Coverage from Palatka to Astor, FL. 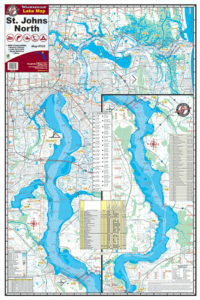 One of Three Maps of the St. Johns River. 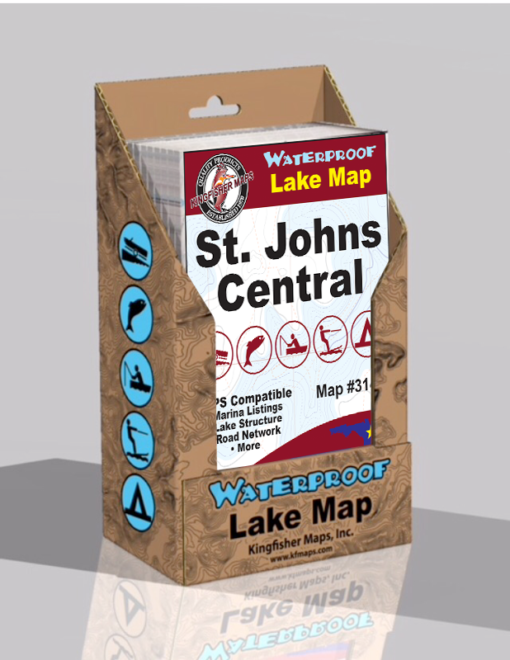 Includes – 18 St. Johns River Central Waterproof Maps with Display Box. 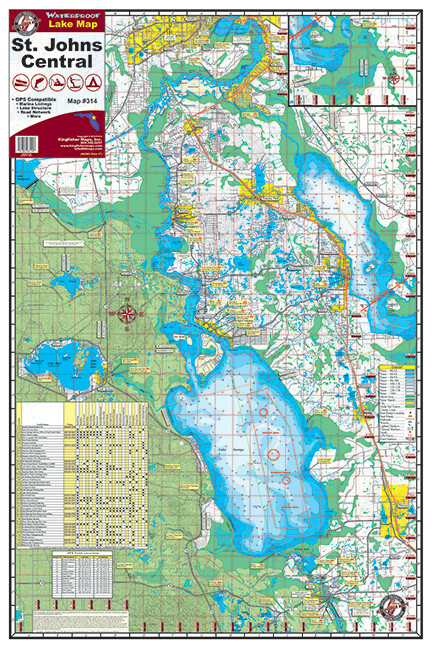 Includes Lake George and Cresent Lake. Coverage from Palatka to Astor, FL. 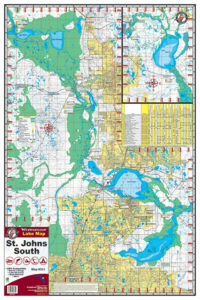 One of Three Maps of the St. Johns River.